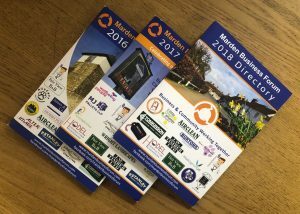 It’s that time of the year again when we are preparing the next Marden Business Forum Directory. Please can you check that your details are correct on the website as these will be used for your free entry into the 2019/20 Directory. Please email amendments to the Committee at committee@mardenbusinessforum.com. Membership currently stands at around 120 but there is still a few weeks to go for new Members to be included in the Directory. Please share this around that Membership is free to anyone you may know who has yet to join. * Ballot if more companies interested than space allows for.